Our marketing team is dedicated to the complete and quick information sharing with you. The marketing team gives you the platform to voice all and any questions, queries, doubts or just any silly pop ups any time of the day and they are answered quickly with the consultation of a Doctor, if needed. Our website is regularly updated and email account checked all the time. U can call us at our phone no. in the working hours and 24 * 7 on our Health Helpline when in India. The medical query is aptly replied with 8 hrs of the email. The medical quote request is replied through the Doctor with the details of complete medical package and the hospitality package within 16 working hrs of the receipt of the query. 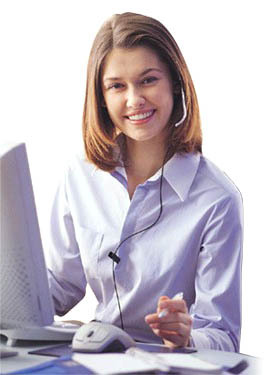 If required, we can also arrange telephonic / video interaction of the doctor with you. All of your Hospitality services would be arranges by our hospitality Care Team. All the services including Visa processing, Air travel, Air Charter, Car Travel, State of the art ambulance, Hotel stay / visit, Personal Translators, Tour services, City guide, Shopping guide, Prepaid phone, Internet, Laptop on Hire, Chefs, English support staff etc. would be provided at regular Indian rates. Our patient care team, having past hospital work experience, specializes in needs and requirements that the patient may require once in India. It includes sample collection at the hotel before and after hospital stay, quick n easy registration at the hospital, daily in person meeting of the patient and coordination with the nurses, doctors and the hospital staff on a daily basis, post hospital care in India and follow up in your hometown. We Understand that deciding to travel to another country or city for medical value is a very difficult task. Lot of questions and queries comes to ones mind even when one thinks about it. 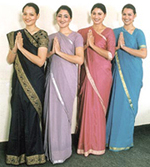 All of our services including this website have been designed not only to answer these queries and questions but to make sure that right from deciding to travel to India for medical value, traveling to India, treatment and stay, post treatment stay / tour to traveling back to your hometown and follow up is all a pure cakewalk for you. And exactly this is our USP. We are geared up to make sure that the your and the attending partner's travel, treatment and stay in India is just like you staying at your home. We Assure you that.